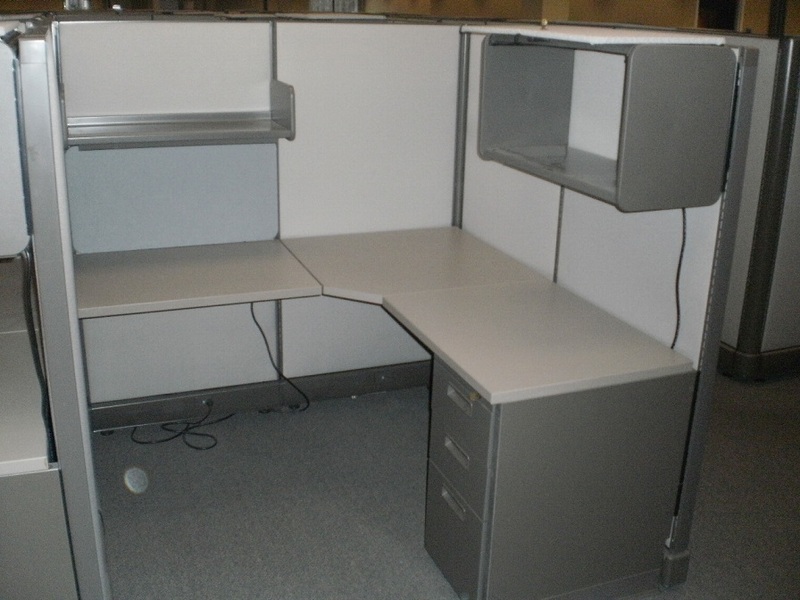 Herman Miller 5×5 A02 cubicles with 24×30 corner and (2) 24×30 returns. This station comes with a 30″ shelf and 30″ overhead flipper door unit with task light. Locking Box/Box/file pedestal, All panels are 62″ high with power down the spine. Panels need light cleaning. Product is in good as-is condition. Easily servicing Ohio, Michigan, Indiana, Pennsylvania, West Virginia and Kentucky. Will and have installed in all states. Used Knoll Morrison furniture for less for your Indianapolis business! 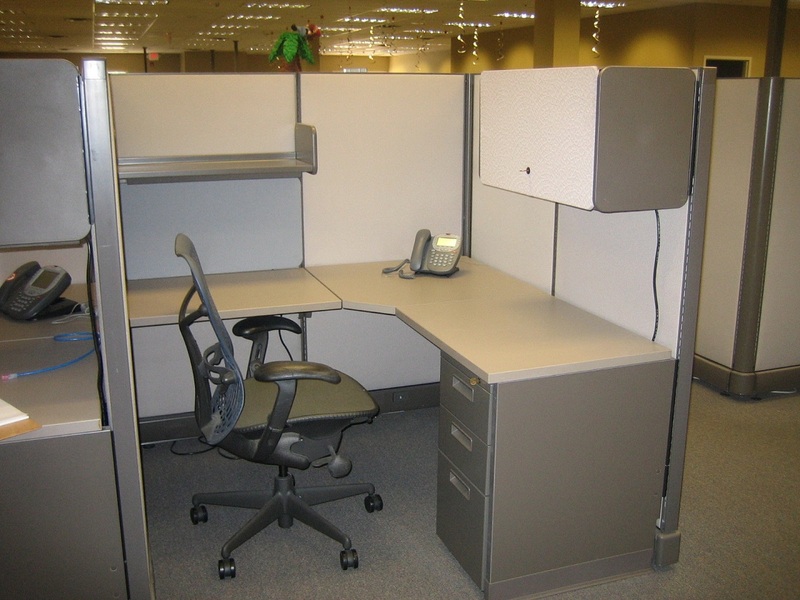 14 Comments on "Herman Miller A02 5×5, 62 high"